"Personalised Hospital Pharmacy – meeting the needs of every patient"
The EAHP Congress is also an opportunity to meet colleagues from Europe and all over the world, to share experience and ideas and to learn from each other. EAHP is fostering advancement in hospital pharmacy practice for the benefit of our patients. Sharing expertise and best practices is certainly one of the best ways to accelerate our success. 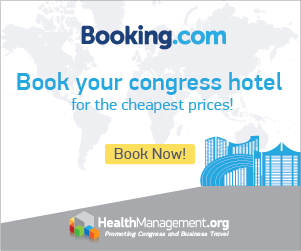 The EAHP Congress, the largest hospital pharmacy Congresses in Europe, provides an optimal platform for this sharing and education but also for the pure joy of meeting fellow hospital pharmacists, colleagues and friends.